Well folks, it’s not even Thanksgiving and I am already feeling the holiday itch. This time last year Chris and I were neck deep in home renovations and very naively thought we would be done by Christmas. Unfortunately, we underestimated the work by about 4 months (ahhhh). So, this year is really the first year that we will get to spend the holidays in our house that actually has paint on the walls and is free from holes in the ceiling. Hooray! 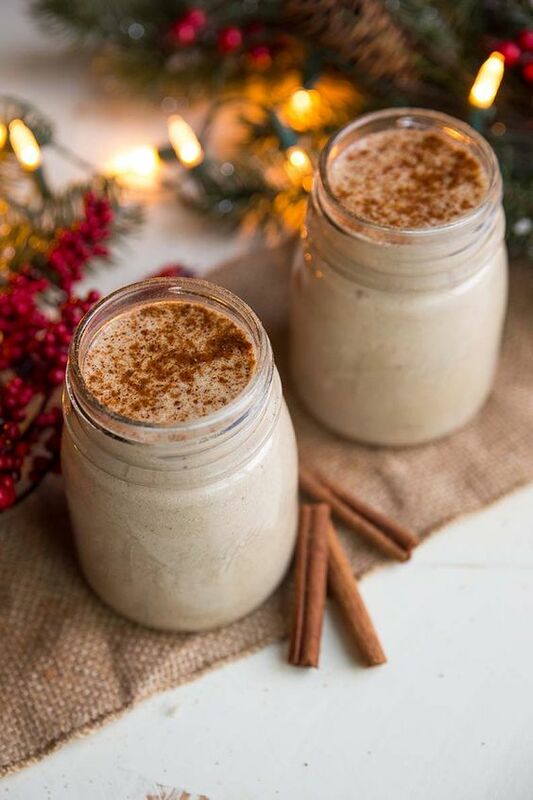 The celebrate the imminent holiday season, I decided to whip up this Dairy Free Paleo Eggnog. 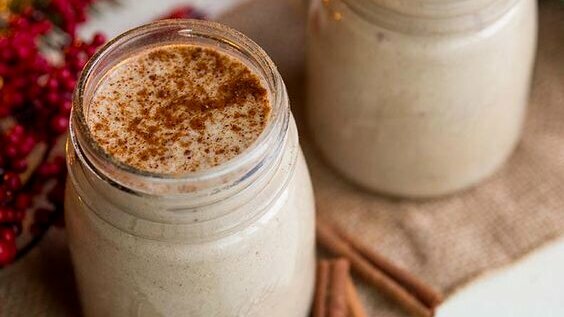 Eggnog has always been one of my favorite holiday treats, but it’s hard to find a dairy-free version in stores. Even when I do find one, they are often full of processed sugars and fillers that I don’t care for. 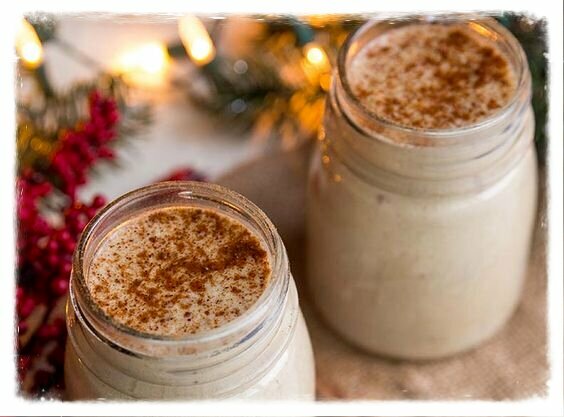 Making a batch of egg nog at home is relatively easy and a whole lot healthier than anything you will find pre-made in the store. It’s important to use either homemade almond milk for this or something like New Barn. Traditional, thinned out almond milk will not give this nog the texture you’re looking for and it will end up being super runny. If you can’t find a brand like New Barn near you, whipping up a batch yourself is fairly simple. This egg nog contains eggs that are not cooked passed the pasteurization point (under 160 degrees). I am perfectly okay with that because I only buy organic, pastured eggs. However, if you aren’t comfortable with that and can’t find high quality eggs, I would probably skip this one. Last but certainly not least, I’ve always enjoyed egg nog sans alcohol, but this is also quite delicious with a bit of rum. With a hand mixer or stand mixer, beat egg yolks until slightly foamy and lighter in color. Add the maple syrup, vanilla, nutmeg, cinnamon and continue to blend until well combined. Add mixture to a medium sauce pan and add coconut milk and almond milk. Heat on medium low, stirring frequently until the mixture becomes warm, about 10 minutes. Add the collagen in just at the last 1 or 2 minutes. Don't turn the burner on too high or you will get a pretty gross texture and might actually cook your eggs. Once warm but not quite boiling, remove from the stove and refrigerate until chilled. Serve cold with extra nutmeg. « Hormonal Issues: What To Do First?